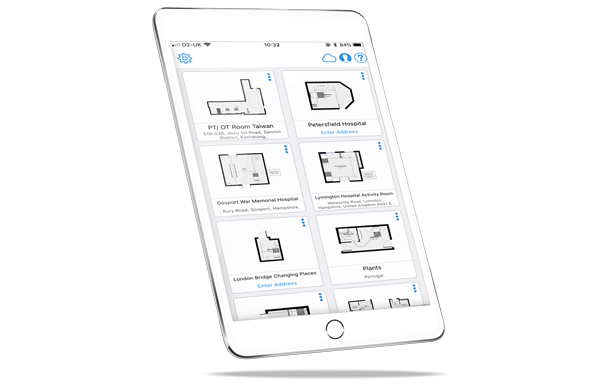 OpeMed’s SurveyPlan is a floor plan creation app that allows us to create dimensioned floor plans without actively measuring or drawing. 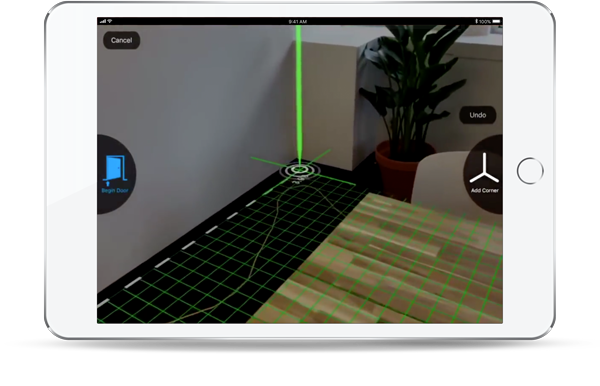 With its Augmented Reality technology, we can capture spaces quickly and create simple layout designs to support your project. Add to that the bank of OpeMed equipment and parts – your OpeMed Product Specialist can plan your Ceiling Hoist and assisted bathroom layouts in a matter of minutes. Surveying now takes only moments with OpeMed’s SurveyPlan. 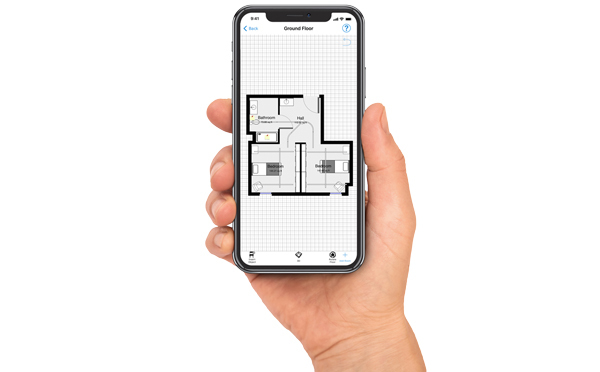 Our newly developed software with drag and drop capabilities allows your local product specialist to design your space with OpeMed equipment in a matter of moments. With our ability to demonstrate, amend and showcase design ideas and product placement; this service will revolutionise the way in which we communicate the project across – whether you are a Builder, OT, Case Manager or Architect. Visualisations are more coherent with OpeMed’s SurveyPlan. Breaking down complications for your clients will ensure users expectations are managed, builders understand the requirements of the project and Architects have a guide for product placement. 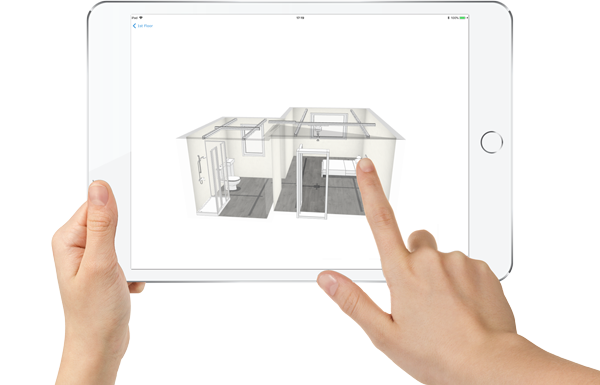 With an interactive 3D view or a 2D floor plan to help visualise the project to all involved. We also offer a layout gallery demonstrating previous projects to give you quick access to similar projects. Click here to visit the SurveyPlan Gallery. Find out about SurveyPlan visualisations! 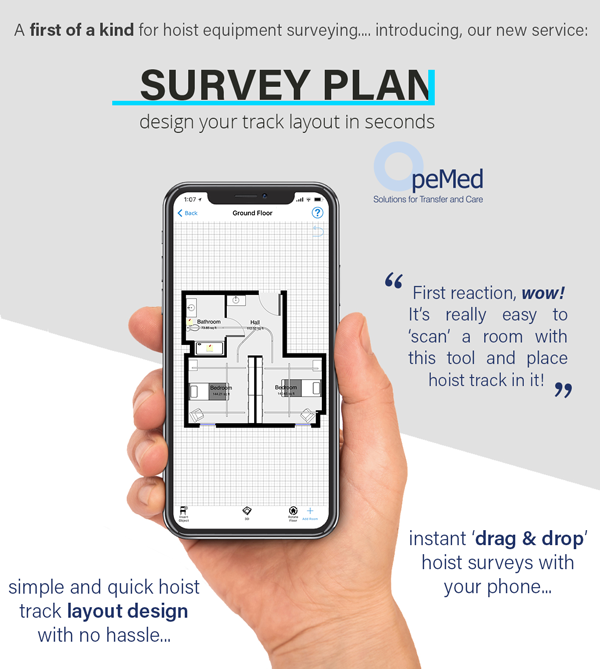 OpeMed is offering SurveyPlan exclusively for OpeMed customers. Contact your local Product Specialist to arrange your free on-site survey and consultation. Our Specialists will schedule in your appointment for your no-obligation SurveyPlan design. Unlock your project’s potential with OpeMed. As a turnkey supplier we offer one contractor for all your specialist equipment needs, from Ceiling Hoists, Assisted Baths, Height Adjustable Changing Tables, Height Adjustable Washbasins and much much more. For more information and to request your SurveyPlan appointment contact us now on 01252 758 858 or email us here.